Insurance Companies today has to deal with big data each day. So it is important for them to use an ERP to boost their business. Using an ERP will also allow them to search or view records of the insurance policies, claims, agents or customers. It will be easy for the users if the records created is well integrated with other business management process like accounting, CRM, sales or is able to integrate with them. - Options to set policy according to its duration. - Easily adds attachments or notes about the insurance. - Easily create a claim against an existing insurance. - Option to edit the amount manually(if required). - Create an invoice for the customer. - Easily create a record of personal data of the agent. - View insurance related to the agent. - Option to create payment to the agent according to a commission from insurance made by him or as fixed payment or both. - View invoices against the customer easily. Insurance management system allows you to create and manage insurance policies and their claims easily. It also helps you to manage agents and customer data. 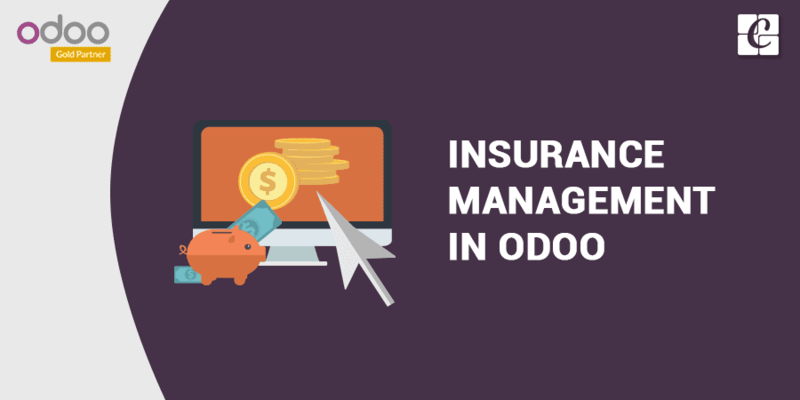 Insurance management system is well integrated with accounting module of Odoo. Also, it is a flexible module for further extension.